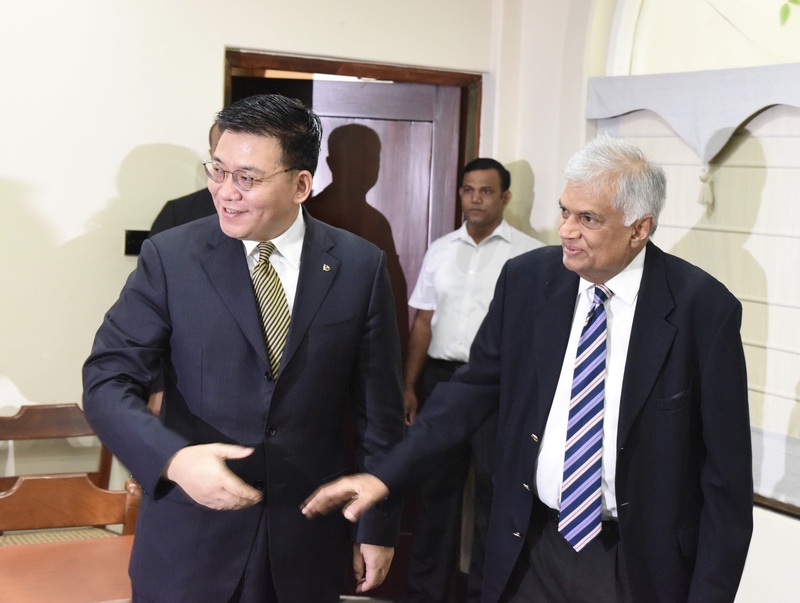 Colombo, August 2nd--Ranil Wickremesinghe, Leader of the United National Party and Prime Minister of Sri Lanka, met here today with the CPC delegation headed by Guo Yezhou, Vice-minister of the International Department of the CPC Central Committee. Wickremesinghe expressed that the two countries should continue to strengthen inter-governmental and party-to-party exchanges, constantly deepen cooperation under the framework of the Belt and Road Initiative, and continuously improve the level of relations between the two countries. Guo expressed that the Chinese side is willing to deepen exchanges with major political parties of Sri Lanka, so as to promote China-Sri Lanka relations and practical cooperation between both countries for constant new progress. During his stay in Sri Lanka, Guo also met with leaders of the Sri Lanka Freedom Party, People's Front and other major political parties.